Almanacs, commonly spelled almanack in the early nineteenth century, provided a great deal of information to their readers in a very concise format. Those written specifically for farmers included lists of monthly agricultural tasks, advice about a variety of subjects, and usually, some humor. 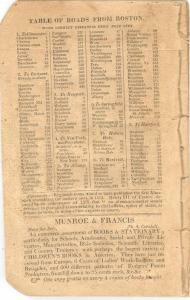 These excerpts taken from an 1825 “Farmer’s” almanac trace the farmer’s work through the year.